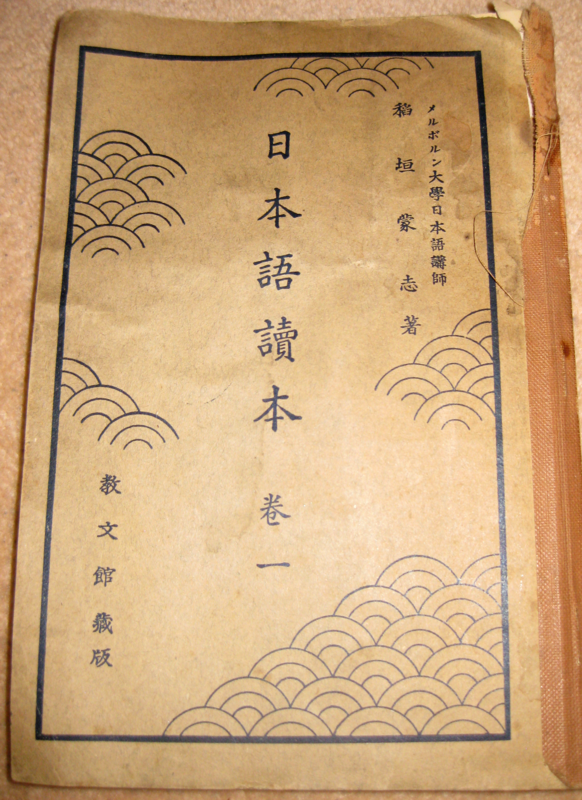 Japanese instruction at the University of Melbourne began in the early years of the 20th century. In 1917, Japanese interest and investment in Australia was hitting its stride. The Reverend Thomas Jollie Smith joined a deputation urging the Minister for Home and Territories to consider the desirability of teaching Japanese and Pacific Islander languages in Australia. That same year, Senkichi ‘Moshi’ Inagaki, who arrived in Australia from Japan in 1897, began taking private students, among them Major Edmund Leolin Piesse, then Director of Military Intelligence. By 1918, the Reverend Smith was teaching classes in Japanese on an unofficial basis, and in 1919 was recognised as instructor in Japanese at the University of Melbourne, with Inagaki as his assistant. The classicist tradition railed against the teaching of anything other than Latin and Ancient Greek and together, Smith and Inagaki bucked this trend. 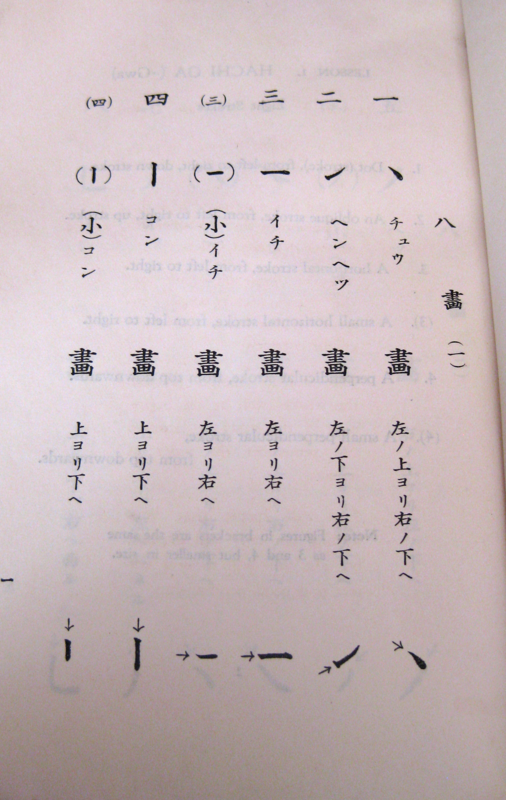 The importance of a native-speaking language teacher was understood, and Inagaki’s ability in the language complemented Smith’s experience in teaching. In 1920 the Mollison Scholarship was extended to Japanese, and in 1922 with a strong recommendation from his former student Major Piesse, Inagaki became the sole instructor in Japanese at the University. WWII gravely harmed the relationship between Australia and Japan, and halted the teaching of Japanese at the University. In 1941, while Australia was at war with Germany and as trade negotiations collapsed between the United States and Japan, in the Imperial Japanese Navy attacked Pearl Harbour. Within 24 hours, Inagaki and 15 other Japanese nationals living in Victoria were arrested; by 1942 Inagaki was placed in an internment camp. Following Japanese bombing raids against Australia throughout 1942 and ‘43, the University of Melbourne discontinued its teaching of Japanese. Moshi’s wife Rose passed away while he was in internment, and following his release in 1946 he returned to Japan and sadly is not known to have ever visited Australia again. Diplomatic relations between Australia and Japan were reestablished in 1952, and in 1961 interest in Japanese began to return to the University with the establishment of the Department of Oriental Studies under the Professorship of Harry Felix Simon. In 1972, William Eggington was appointed Senior Lecturer in Japanese and Leslie Russel Oates made Lecturer in Japanese. As economic and political ties between Australia and Japan began improve, so too did the desire to understand and communicate with one another. As Japanese teaching returned to the University, its presence was also returning to the wider society. Along with state-level Australia-Japan societies, organisations such as JCCiM, JSM and Australia Japan Society Victoria began to appear in the 1960s. The Japan Foundation opened its Sydney branch in 1978, and the JET Programme reached Australia in 1987. Engagement between Australia and Japan only continued to grow, and at the University a new era of Asian Studies scholarship and engagement with Asia was about to begin. In 1990, the Australian Government's Commission for the Future together with the Myer Foundation established the think-tank Asialink with the goal of promoting understanding of Asia, and the role Australia can take in the region. In 1998, the Melbourne Institute of Asian Languages and Societies was opened, and in the same year Asialink was made a non-academic department of the University of Melbourne. In 2001, the Sidney Myer Asia Centre was built with a grant from the Sidney Myer Centenary Celebration, and in 2006 the Asia Institute was formed. Today, over 1600 students are currently studying Japanese at the University (as of February 2017), and it remains to be the most popular LOTE subject in the University. The history of Japanese at the University is characterised by a deep and abiding commitment to peace and mutual understanding between the two nations. The current increasing popularity of Japanese language in the university means its increasing educational values and responsibility. Japanese language education creates a space where local and international students meet on a large scale, and they explore, imagine and co-construct a new reality and identity through intercultural learning using Japanese as a medium. The role of Japanese language education changes, reflecting the global as well as the local contexts, and it will continue to evolve in order to educate young talents who will champion humanistic values across the cultural boarders. “Importantly, Japan and Australia, two great powers in Asia Pacific, have in common society’s most important values. These are democracy and peace. Teaching and learning Japanese is a way to uphold and reinforce these shared values,” says Akihiro Ogawa, Professor of Japanese Studies at the University of Melbourne.